The Stadium Club 2014 set of 200 cards is now part of the Baseball Card Cyber Museum. 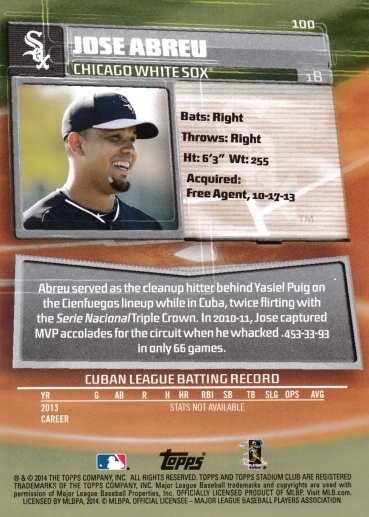 Featuring a full-bleed card design, 2014 Stadium Club had the expected excellent composition and sharp photography typically found in the Stadium Club brand. 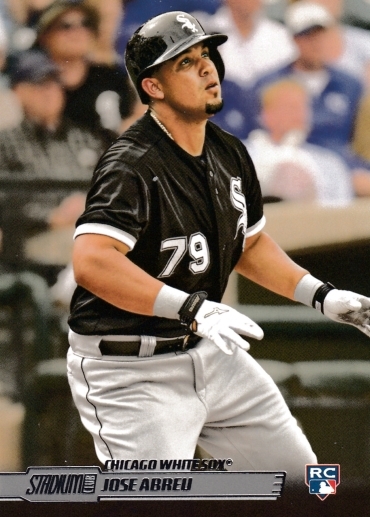 The set featured rookies such as George Springer, Jose Abreu, Xander Bogaerts and Travis d'Arnaud.